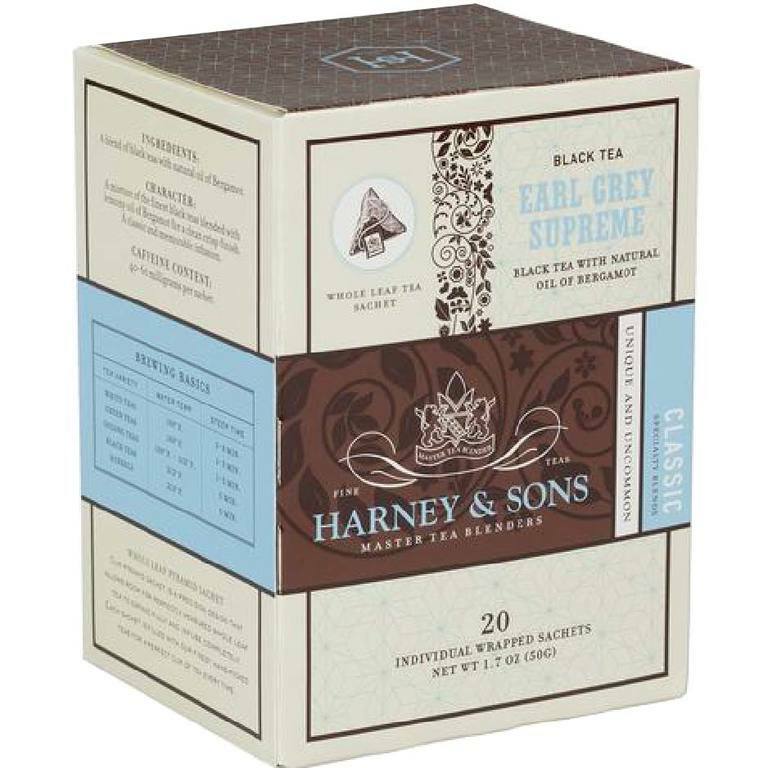 For the connoisseur we offer Earl Grey Supreme, which contains a higher grade of teas with added Silver Tips. Most of our customers never go back to our regular Earl Grey once they taste the Supreme. If you love Bergamot and fine tea, this is the blend for you. Try our box of 20 individually wrapped tea sachets. Each wrapped sachet brews a 12 oz cup of tea. Black tea, white tea, bergamot oil.